Dustin Stewart was one of 11 students from Northeast Tech’s Claremore Campus who earned the right to compete in a national CareerTech Student Organization competition, and he was one of only three Claremore students to reach the podium. 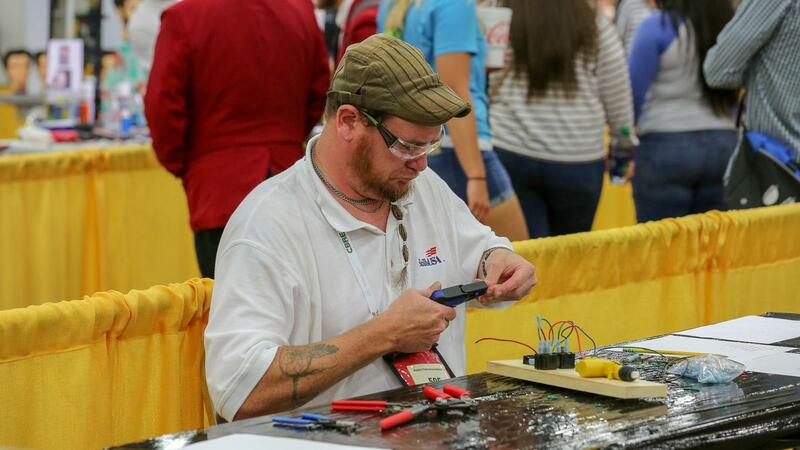 From mid-April through early July, thousands of students across the nation compete in skills contests as part of their chosen CareerTech Student Organization (CTSO). After placing first at his state competition, Stewart traveled with his instructor, Ron Stearnes, to Louisville to compete in the SkillsUSA National Competition. The massive competition stretched for more than two miles in the event center in Louisville, and with so many people and activities under one roof, it was not the typical testing environment. Stewart’s competition took two days to complete. The first day was a three hour written test, the second day was the hands-on portion which had eight stations with 35 minutes for each, all covering different parts of the electrical systems in automobiles. When he wasn’t practicing or competing, Stewart was able to visit a few of the attractions in Louisville. “I really enjoyed going to the Louisville Slugger Museum and watching bats being made,” Stewart said. 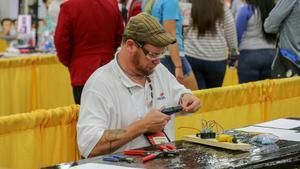 Stewart plans to return to Northeast Tech next year to earn additional certifications in the Home Automation Program, and Stearnes is hopeful his success will inspire incoming students to train for and compete in skills contests.